The curious case of the Cornwall Council housing surveys that never were | Cornwall – a developers' paradise? ← A walk down memory lane. Although there’ll soon be 2,700 houses (at least) there. Back in 2015 Phil Mason, Cornwall Council’s planning chief, announced at a meeting about housing that new housing projects attracted no in-migrants. Instead, all new houses were actually being built for current residents. It’s fair to say that this was met with some scepticism and not a little derision from those present. Population growth in Cornwall arises entirely from net in-migration (natural change – births minus deaths – is negative). Therefore, anyone can see that the vast majority of any net additional housing is only ‘needed’ to meet demand from migrants. The only explanation for Mason’s astonishing claim was that all those in-migrants bought older houses, the displaced residents of which used the dosh to buy that nice new house. The journalists present did not feel it necessary to probe Mr Mason’s assertion. Maybe they felt the Head of Planning and Regeneration must have had some evidence lurking behind his claim. The strong implication was that Cornwall Council had surveyed residents of new housing projects. After all, such a survey had been undertaken and the results published back in 1987. Yet that survey, conducted with a genuinely robust methodology, discovered that 44% of residents of new private housing had moved directly to Cornwall, while another 10% had only had a short stay in rented or other housing here before buying their properties. Mason’s revelation therefore looked strangely at odds with the picture a generation earlier, despite continuing high levels of in-migration. It also begged the question of why, if all new open market houses were being sold to existing residents, estate agents and developers market their houses in the way they do. Why do they always emphasise the proximity of the M5 and Newquay airport? Why do they describe bog-standard soulless commuter villages as ‘idyllic, small and rural village communities’, or Truro as a ‘charming Georgian city … surrounded by beauty’? Why do they emphasise the ‘Cornwall countryside’ and invite prospective purchasers to ‘explore the heart of Cornwall’? This doesn’t look like the best strategy for selling to local people. This hasn’t been the only time over the past few years when planners and councillors have assured campaigners they are mistaken and that uncited surveys exist which back up the notion that the vast majority of new housing goes to local residents. For instance, in 2012 the then Cornwall Council portfolio holder for planning (Cllr Kaczmarek) stated that most residents of new housing had moved no more than two miles. Suspiciously however, on being invited to produce a source for this, he declined to answer. 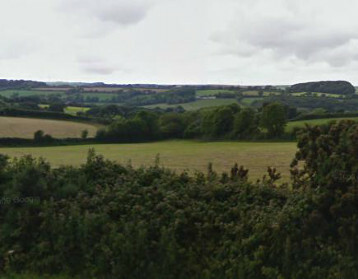 Then in January 2016 a peer review of Cornwall Council’s planning department concluded that ‘post-building surveys have shown that the vast majority of market homes are lived in by people from the surrounding area.’ No details were offered about these mysterious ‘post-building surveys’ and it was left ambiguous whether they were conducted by the Council or by developers. But it was enough for the authors of the report, which laughably described Cornwall Council as ‘anti-development’, to confidently state that ‘the common perception that new homes are bought by people outside the area’ was just a ‘myth’. Finally, this March Cllr Tim Dwelly (formerly Labour, now Independent) wrote to a housing campaigner with the very specific information that ‘The housing department at the council has tracked this with large surveys. The figure is something like 80% local … It’s a myth that newly developed homes [sic] are mainly bought by ‘incomers’ … all made up stories that people fall for’. All of which certainly sounds as if the Council has been conducting research into the destination of new housing and is able to back up its claims with solid evidence. Yet it’s strange, to say the least, that this major body of evidence, especially given its purported findings, hasn’t been published, in contrast to the 1987 survey. To clarify things, at the end of March a freedom of infomation request was sent to Cornwall Council asking whether survey research had been undertaken on the origins of residents of new housing in Cornwall, details of its methodology and a source or reference to such work. Although it took the Council the full 20 working days to respond, the answer was blunt. ‘We have not been conducting ‘survey research’ on the destination of new housing in Cornwall’. Now, things begin to get a bit murky. Cornwall Council’s planners are not exactly renowned for their cautious and responsible handling of data. Selective use of evidence, a cavalier approach to statistics, economising with the truth, gratuitously ignoring or dismissing counter-evidence have been their stock-in-trade for years. Officers have been adept at generating factoids (statements that look like facts but are in practice fictional or partial). These are then distributed to gullible councillors who act as their mouthpiece and disseminate them via an uncritical media. It now turns out that the various claims that almost all new housing goes to local residents is merely another insubstantial factoid. There is no survey. There is no body of evidence behind these assertions. Planners and councillors are, wittingly or unwittingly, perpetrating a myth, a made-up story that people fall for. In the absence of any evidence to the contrary, it appears that Cornwall Council hasn’t a clue where the residents of new housing come from, and probably doesn’t care. Which raises three questions. First, who initiated the, sometimes quite precise, claims made over the past few years, claims that now turn out to be yet another groundless myth? Are they entirely spurious or were they perhaps recycled from unverifiable developers’ assertions? This would hardly be surprising given the cosy relationship between the planning department and the volume housebuilders. Second, apologies are now surely in order. Will planning officers apologise to councillors who they plainly appear to have misled? Will those councillors in turn apologise to those who elect them for making statements in public that are not based on a shred of evidence and failing to check the simplistic myths they’re offered? Third, why isn’t the Council collating data on the origins of residents of new housing? Could it be that such data would only prove the blindingly obvious fact that a large proportion of new houses is indeed sold or rented to newcomers attracted to Cornwall by the marketing of the developers and estate agents? This entry was posted in Cornwall Council;, official statistics, planning system and tagged myths. Bookmark the permalink. I’ve had enough of this, do we need to take direct action?